Illinois attorneys that specialize in Cerebral Palsy and related birth injury cases can help you in many ways. Like similar medical litigation, these lawsuits will involve complicated questions of fact and law. Succeeding on them will require not only an advanced mastery of the specific medicine and circumstances but also a thorough knowledge of court procedure and precedent. Once you discover your child has Cerebral Palsy, there will be many things to do. Before trial, your lawyer will conduct investigations, interview third parties, draft a lawsuit, speak with opposing counsel and more. During trial, your lawyer will present your case to the jury, depose witnesses and question defendants. After trial, your lawyer will examine the merits of the case or settlement and either obtain the funds you deserve or prepare a sufficient appeal. A lawyer experienced in personal injury litigation will manage your Cerebral Palsy case. This will guarantee you have the best shot at success and can focus more time on your family. How Much is an Attorney Worth in Cerebral Palsy Cases? Generally, the value of any service is what it brings you. However, with Cerebral Palsy cases, we know that recovery is about more than dollars and cents. That is why we work so tirelessly to obtain compensation victims need to move on with their lives. We work on contingency and bear legal costs unless and until your award is satisfactory. How can I Bring a Cerebral Palsy Lawsuit? Often, another person, company, or entity will be responsible for the incident that led to the development of Cerebral Palsy. When this happens, you might be able to bring a lawsuit against them for damages in an Illinois court of law. In order to do this, you need to gather all relevant facts, build a sufficient legal argument, and present a persuasive case at trial. 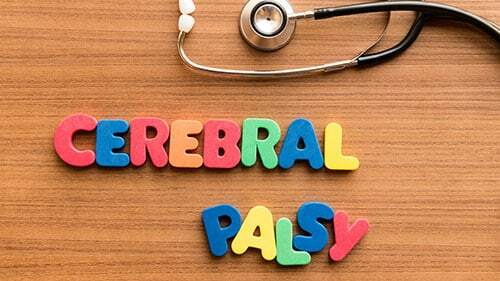 During all of these stages, it can help to have an experienced attorney to assist you because Cerebral Palsy cases are complex and technical. What do I Need to Prove to Win a Cerebral Palsy Case? What you need to prove depends on the kind of Cerebral Palsy case you bring. The most common types are negligence and medical malpractice. No matter what form of action you pursue, you need to draft and file a legally sufficient complaint. That complaint must list how you or your loved one was injured, who was responsible for the injuries, what law affords you relief, and what kind of relief you are requesting. Then, at court or through settlement, you must prove these things as well as deny any affirmative defenses the defendant raises (you were responsible for the injuries; some unnamed third party was responsible for the injuries; or the injuries are not as severe as you suggest). You must convince a jury of these points by a preponderance of the evidence. Still Wondering how We can Help Children With Cerebral Palsy? Everyone at Rosenfeld Injury Lawyers LLC knows that your children are the most precious things in your life. Above all else, you look out for their safety and well-being. This is precisely why we focus so much of our time on helping families like yours. We set up free consultations and work on contingency so that every resource is available to you at no cost. To hear about how we can help you, and how we have helped other families like yours, please call our offices.